In 2012, a continuing drought on the Colorado Plateau created a meager spring snowpack in the Sierra La Sal. 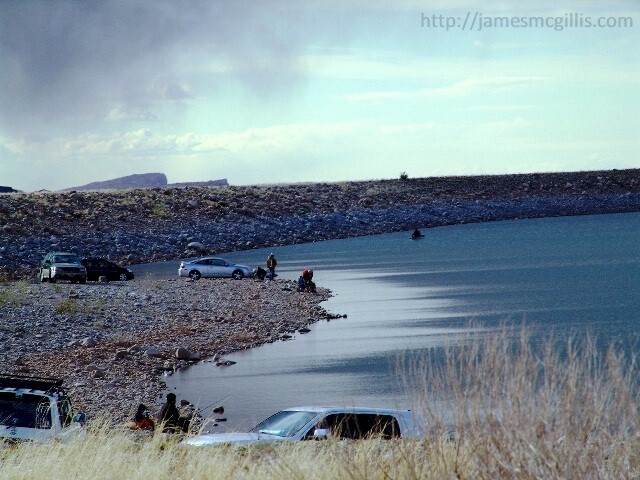 When I visited Ken’s Lake, near Moab, Utah in April 2012, I was encouraged by the volume of water that I saw behind the dam. Although I did not know it at the time, there was more water present than in any April for the past five years. As a casual observer, I saw what looked like a good water year for both irrigation and water sports on the lake. In August 2012, the Grand Water and Sewer Service Agency (GWSSA) issued its summer status report on Ken’s Lake. According to the document, the Ken’s Lake water level has dropped from April’s 101% of average to a mid-August thirty-five percent of average. Using the first two charts in the document, I was able to determine that Ken’s Lake currently held 1000 acre/feet less water than it did in a normal year. Next, I looked down at the five-year storage chart. Again, the results were alarming. With just over 400 acre/feet of water currently impounded, Ken’s Lake was heading to its lowest August levels in the past five years. With that trend, it was obvious that Ken’s Lake was destined to become Ken’s Lake Puddle again this year. Some will say, “So what? It is a human made water storage reservoir. If all of the water gets used up every year, then it is serving its purpose”. 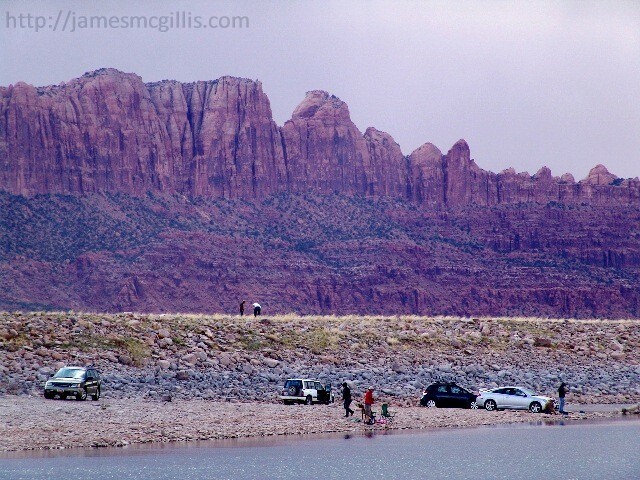 Although that may be true, Ken’s Lake is also the largest recreational lake in the Moab area. When the reservoir goes dry, there is nothing of consequence to attract campers, hikers or wildlife. 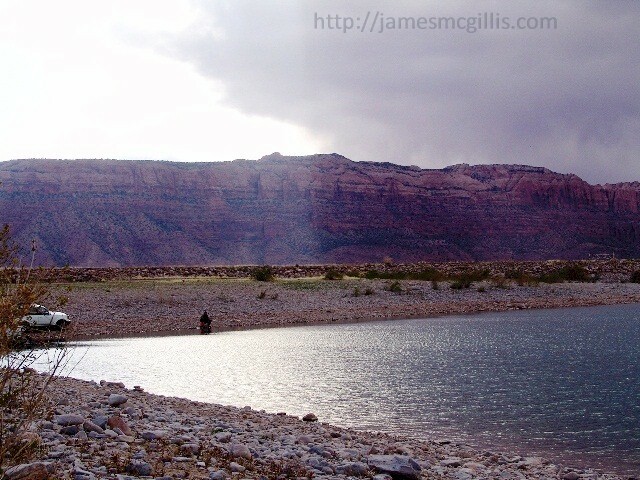 The lake is also a bellwether for drought conditions throughout the Colorado Plateau. If the towering La Sal Range gets little snow and has a fast spring runoff, few other places will fare much better. The regional drought seems likely to expand and become more prevalent in the Four Corners states. It behooves the stakeholders and managers of Ken’s Lake to act now and prevent it from becoming a permanent eyesore. The easiest way to save the lake is to stop allocating water for alfalfa farming and other water-intensive crops. If a farmer is actually growing fodder for his or her own livestock, the GWSSA could make an exception. Instead of alfalfa, if each stakeholder planted grapes or fruit trees, the Spanish Valley could rise again as a tree crop and viticulture area. If Spanish Valley and Moab Valley Farmers and environmentalists work together, Ken’s Lake may well remain a beautiful body of water, enjoyed by all. If not, will the entitled stakeholders pretend that there is no problem, or will they accept responsibility for the outcome?